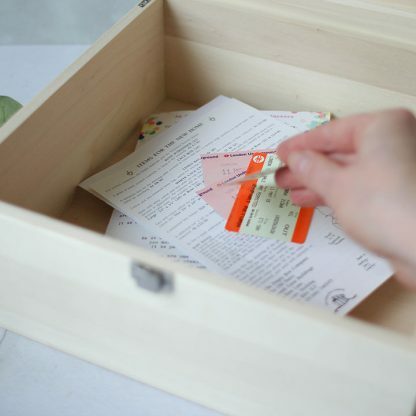 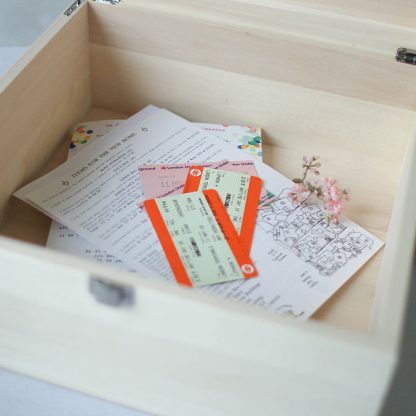 What better way to store and keep safe their special memories and treasures. 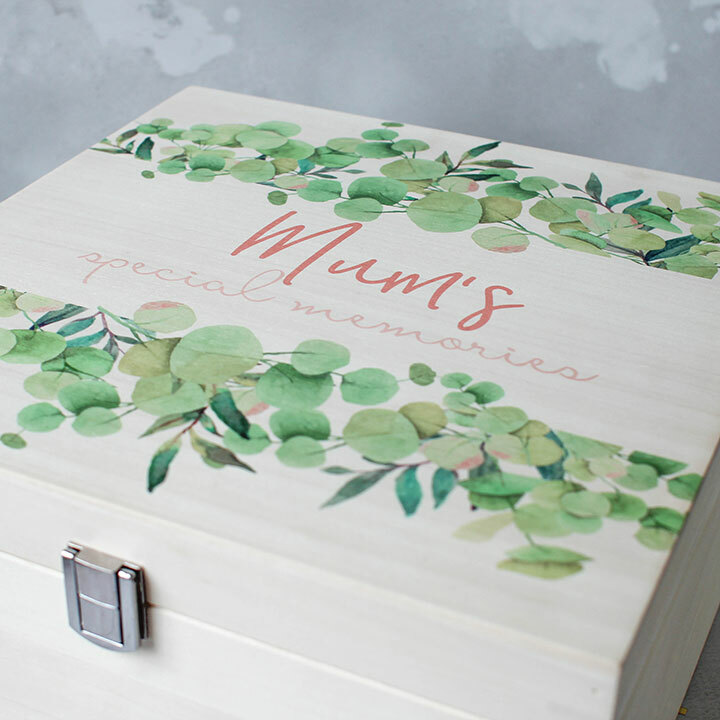 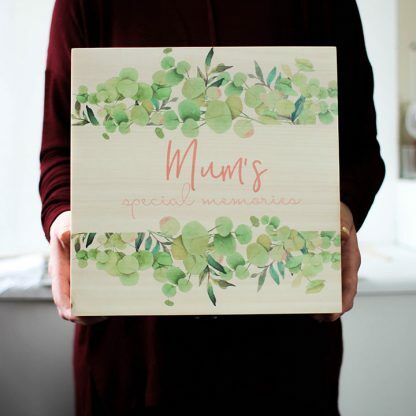 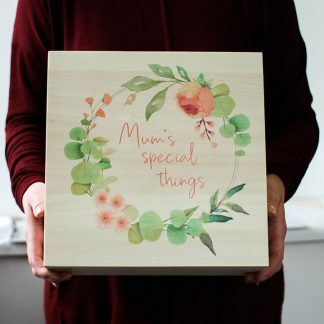 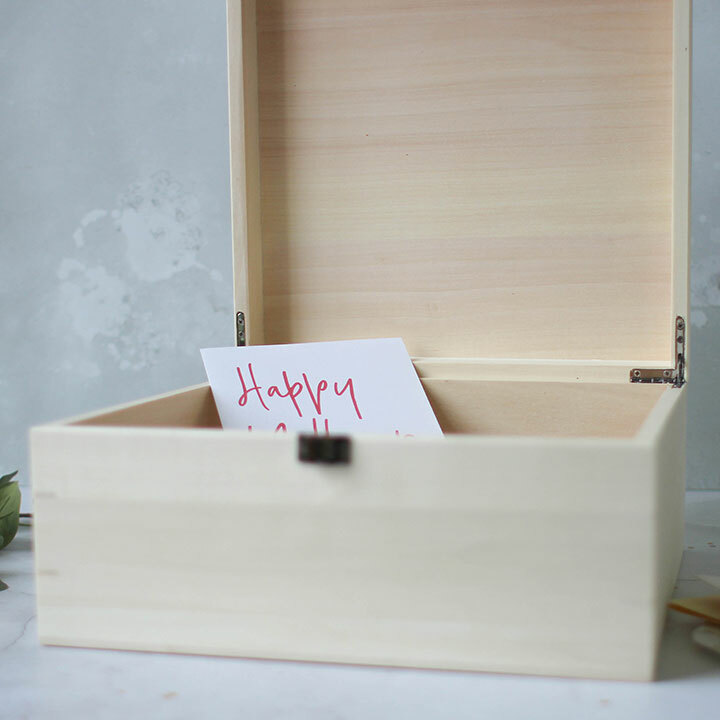 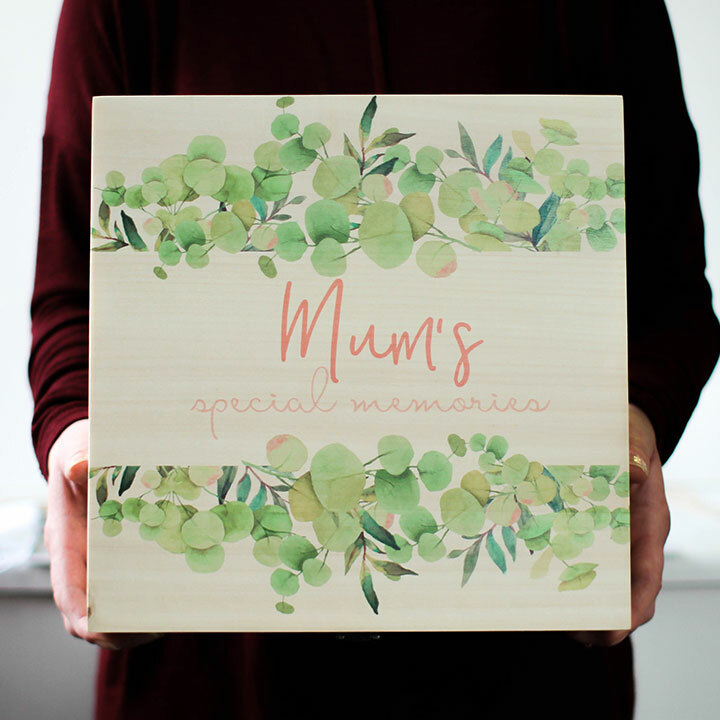 Our beautiful personalised wooden boxes are the perfect gift for Mother’s Day, Birthdays and Christmas. 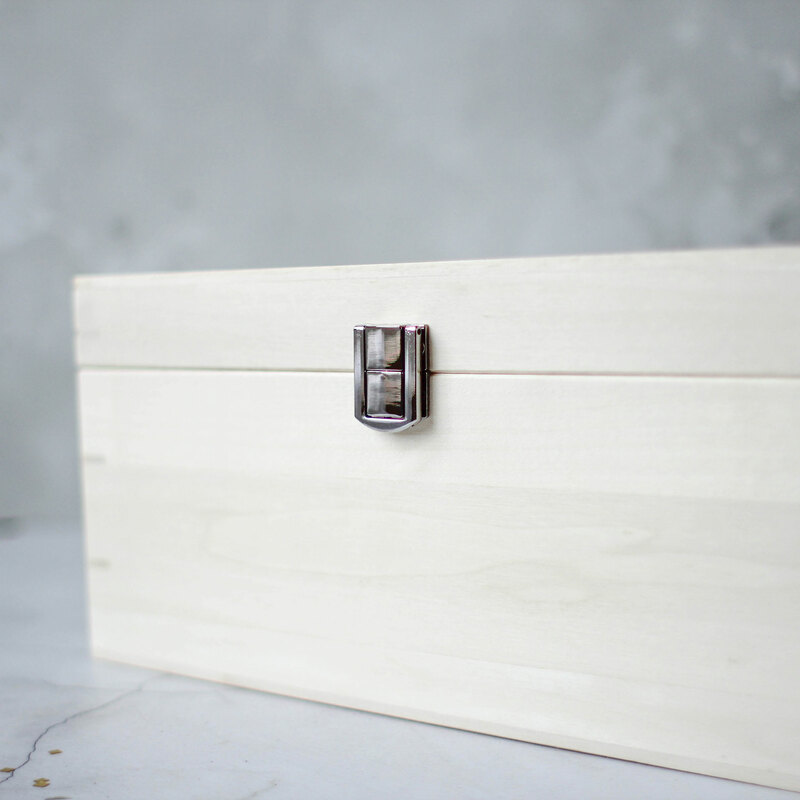 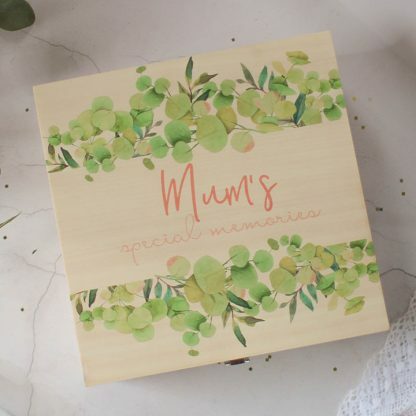 Made from a lovely light coloured wood and finished with high quality silver coloured clasp and hinges, our large keepsake boxes are great for filling with photographs and cards marking significant events, stones and shells collected from a memorable day out and/or receipts and tickets to spark those special memories. 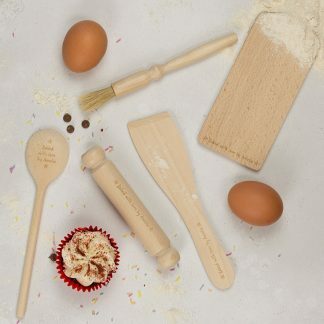 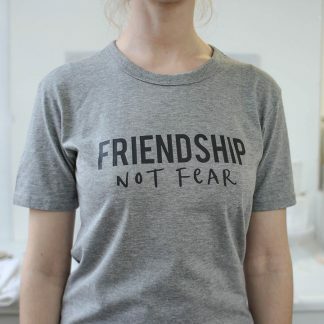 The perfect present for Mums and Grandparents! Made with love in our Hampshire workshop, each box can be uniquely personalised and will be printed in full colour with our eucalyptus watercolour design in shades of green. Personalised with two lines of text, maximum of 12 and 20 characters per line respectively.